Do you feel like the typical “split personality” prior to your period? Or are you holding your breath in anticipation of the physical discomfort that surrounds your menstrual cycle? PMS affects 90% of women and it has been estimated that almost 3000 days of severe symptoms occur during a woman’s reproductive years. Yet despite its high prevalence, PMS remains poorly understood and therefore inadequately prioritised and treated. 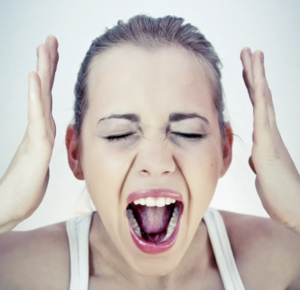 It is widely believed (incorrectly) that PMS is just part of the menstrual cycle process that has to be endured. In the recent two decades, various treatments have been used to prevent this syndrome. To date, treatment is aimed primarily at symptom relief. The medical profession routinely uses pain relief medication (such as ibuprofen), the Oral Contraceptive Pill (OCP), diuretics or even the anti-depressants in the SSRI family (Selective Serotonin Reuptake Inhibitors). Studies however have not supported their effect in treating PMS. Approximately 40% of women who try an SSRI do not see a benefit. These medications also come with their own litany of side effects – from headache, nausea, sleep problems, sexual side effects to an increased risk of suicidal behaviour in teenagers and young adults. Also included is the pain that can occur just prior and during the length of menstruation. Theories abound as to the cause of PMS so much so that there are more than 150 individual symptoms associated with the condition. In Integrated Medicine circles, a number of possible causes are proposed for the onset of PMS. In 1983, Dr Guy Abraham publicised a system for the classification of PMS into four distinct subgroups. These groups are widely referred to by Naturopaths and can be useful for administering specific treatment. However, as with most classifications, one size does not fit all and it is common for women to rarely sit neatly into one group. Attributed to low levels of oestrogen leading to an excessive breakdown of neurotransmitters. It is also possibly the result of enhanced androgen or progesterone production. Characterised by weight gain, breast tenderness and fullness, fluid retention / swelling and abdominal bloating. This category is linked to elevations of aldosterone due to excessive oestrogen, sodium consumption, adrenal stress or a magnesium deficiency. If you feel like you belong in each category, you are certainly not alone! In fact, if your menstrual symptoms are leaving you thoroughly emotional, depleted and overwhelming, it is important to rule out the possibility of PMDD. PMDD (Premenstrual Dysphoric Disorder) is regarded as a more severe form of PMS and has been added to the classification of Mental Disorders. Not to be disregarded lightly, a woman is diagnosed with PMDD if she is experiencing at least five of the following symptoms. It is well within your right to expect a normal menstrual cycle free from the discomfort associated with PMS or PMDD. Rather than continually using symptomatic relief strategies, treatment can instead be targeted at the normalisation of hormones. The most effective way to regulate hormones is via the hypothalmic-pituitary-ovarian (HPO) axis. This very scientific term refers to the way the brain influences the ovaries in its release of particular hormones. In fact, dietary and lifestyle factors can significantly disrupt the functioning of the HPO axis. A reduced incidence of PMS is associated with a diet high in fish, eggs, fruit and fibre. Period pain has been consistently linked with diets that are low-fat, predominantly vegetarian and which include high amounts of fibre. Regulating blood sugar levels can also impact upon hormonal status. The body appears to be more sensitive to insulin during the luteal phase indicating that hypoglycaemia can actually account for some of the premenstrual symptoms. 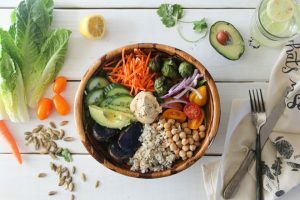 The Mediterranean Diet – The World’s Healthiest Diet? Black Cohosh (Cimicifuga racemosa) – has a strong tradition of use in period pain and menstrual disorders due to its effects on modulating oestrogen via its action on lowering LH secretion. St Johns Wort (Hypericum perforatum) – useful for women who display irritability or depression during the menstrual cycle. Calcium supplementation between 1000 – 1200mg has reportedly reduced menstrual pain by half. Magnesium can reduce PMS mood instabilities, fluid retention and breast tenderness. Zinc levels have been significantly low in women with PMS. 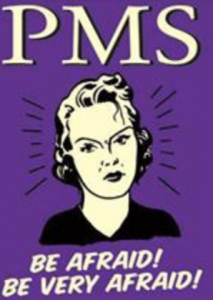 So, you do not have to suffer through your PMS. There are many options available to restore your reproductive health and re-claim back some of those lost days. Talk to an E-med Consultant to get the right prescription for your PMS.